Click below to contact us or to request an appointment time. 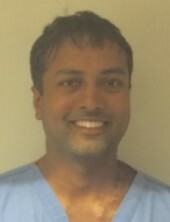 Dr. Pratik Patel, a native of Virginia, attended Bishop Ireton High School. He graduated from The George Washington University with a Bachelor of Science in Biology and a Bachelor of Arts in Computer Science. Dr. Patel received his Doctor of Dental Surgery (D.D.S.) from SUNY at Buffalo, School of Dental Medicine and completed his General Practice Residency at Lehigh Valley Hospital in Allentown, Pennsylvania. After working as a General Dentist, Dr. Patel decided to pursue further training and specialize in Endodontics. He received his Certificate in Endodontics from Columbia University in New York City. Dr. Patel is a Specialist member of the American Association of Endodontists. He is a Fellow of the Royal College of Dentists of Canada [FRCD(C)], and has Specialist Registration with the Royal College of Dental Surgeons of Ontario. Dr. Patel has performed probono work abroad in third world countries, such as in India and Guatemala. He enjoys traveling, sports, and outdoor activities. His favorite teams to watch are the Nationals, Capitals, and Redskins! Dr. Robin Pollack is a native Washingtonian. After earning her Bachelor of Science degree in Microbiology from the University of Maryland-College Park, Dr. Pollack received her Doctorate in Dental Surgery from the University of Maryland School of Dentistry in 1984. 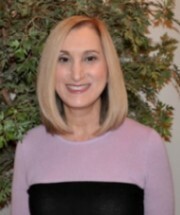 She went on to do her Post-Graduate Residency in Periodontics at New York University College of Dentistry, graduating in 1986 with her Certificate in Periodontics. Dr. Pollack practiced in New York for 13 years, before returning to the Washington suburbs with her family. Dr. Pollack stays active in both local and national dental professional organizations, through which she is continuously exposed to the latest advances in the specialized fields of Periodontics and Implantology. She is an active member of The American Academy of Periodontology.Based on her goal to improve and optimize your oral health through periodontal care, Dr. Pollack works with each of her patient’s to focus on their individual needs. Her compassionate approach to periodontal treatment and extensive clinical experience will put you at ease. 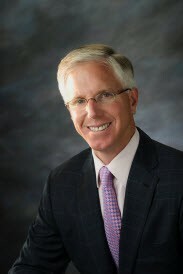 Dr. Hagan was born and raised in Louisville, Kentucky. He graduated from the University of Kentucky with a B.S. in Psychology in 2007. In 2013, he graduated with his Doctor of Dental Medicine (DMD) degree from the Medical University of South Carolina, where he served as the Student Body/Government President from 2012 to 2013 and was selected for membership into the Omicron Kappa Upsilon national dental honor society. He completed his Orthodontics and Dentofacial Orthopedics Residency in 2015 at the Medstar Washington Hospital Center. In addition to practicing orthodontics, Dr. Hagan enjoys traveling, long distance running, singing classical and choral music, and is a passionate and enthusiastic University of Kentucky Wildcats fan. GO CATS! 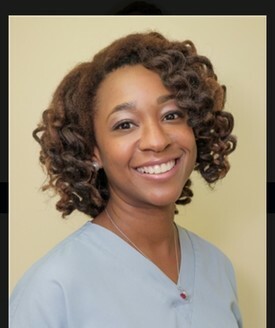 Dr. Jamila K. Chase, A Board Certified Pediatric Dentist, is a native of Prince George's County, MD. After graduating with Honors from Delaware State University, she returned to Maryland as a high school Biology and Chemistry Teacher, where she developed a genuine love for children. She then earned her Doctorate of Dental Surgery degree from Howard University College of Dentistry in Washington, DC, after which she pursued advanced training in Pediatric Dentistry. Ultimately earning the position of Chief Resident, Dr. Chase completed her Residency in 2008. In addition to patients she treats in the office, Dr. Chase is on staff at MedStar St. Mary's Hospital and MedStar Southern Maryland Hospital to provide rehabilitative dental services to infants, toddlers, and patients with special needs. Dr. Chase is a member of the American Board of Pediatric Dentistry, Maryland Academy of Pediatric Dentistry, Maryland Academy of Pediatric Dentistry, and the College of Diplomates. Michael J. Will, M.D., D.D.S., F.A.C.S. Dr. Will received his Bachelor’s degree with honors from Washington and Jefferson College, his dental degree with honors from Georgetown University and his medical degree from the University of Texas, where he was inducted into the Alpha Omega Alpha medical honor society. He completed his General Surgery and Oral and Maxillofacial Surgery training at Brooke Army Medical Center in San Antonio, Texas. Dr. Will also completed a General Cosmetic Surgery Fellowship. He is retired from the US Army with over 20 years of service as a maxillofacial and cosmetic surgeon. His final military assignment was spent as Chairman, Residency Program Director and Consultant to the Surgeon General at Walter Reed Army Medical Center. Dr. Will is the distinguished author of numerous textbook chapters and scientific articles, and is a nationally recognized lecturer in Maxillofacial and Cosmetic Surgery. Dr. Will established the areas first free-standing outpatient surgery center accredited by the “Accreditation Association for Ambulatory Health Care” that was designed to meet the highest nationally recognized standards of care. 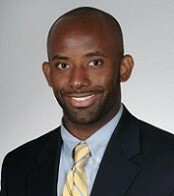 Dr. Will is on staff at Shady Grove Adventist Hospital and Frederick Memorial Hospital.